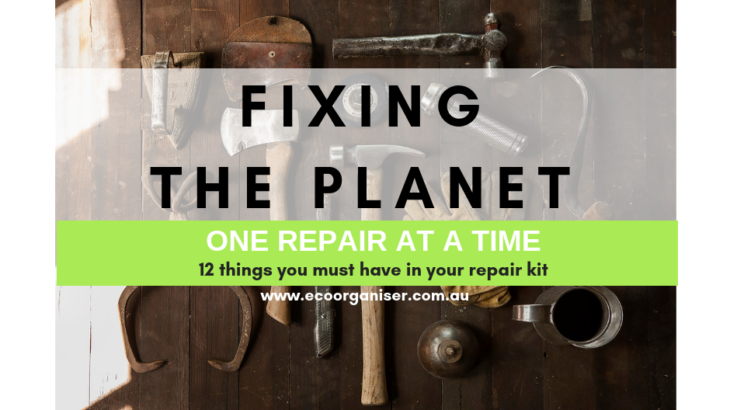 With International Repair Day on the 20th October, and you want to stop throwing stuff out that can be fixed if you had the tools; the question is what do you need in your repair kit or tool box? Having a simple repair kit at hand saves time and money and when you have taught yourself how to fix something you feel like you can take on the world. In this era of designed obsolesce and throwaway mentality a simple repair kit can extend the life of stuff we would normally throw away. To tighten and adjust nuts and bolts, also a necessary item for celebrating International Repair Day ensuring the BBQ gas bottle is done up nice and tight. Necessary to tighten loose optical frames and when repairing your mobile phone. In the words of Obama YES YOU CAN! repair a mobile phone, check out FixIt the free repair guide for everything, written by everyone. No more loose kitchen cupboard door knobs or saucepan handles when you have the right screw driver. Fix that squeaking door that’s been driving you mad. Choose a hammer that is not too heavy for you to use, chances are you won’t be doing the big DIY or The Block, a light weight hammer could be all you need. Nothing worse than going to the trouble of having your holiday snaps printed and framed, only to see them hanging on the wall hanging as straight as a dog’s hind leg, or shelves in your flat pack with a distinctive slope to it. As they say always measure twice before you cut and if you are buying new furniture or storage, measure and make sure it fits in the car, door and room. You will need to store your tools somewhere, do not leave them spread across the kitchen bench, contain them in a labelled easy to use container. And for those bigger jobs why not join your local Tool Library. Not sure where to start and U Tube DIY is not doing it for you, find a Repair Café near you and learn how to repair and stop throwing away perfectly (well almost) good stuff. The Waste Coach living, Planet, reduce recycle reuse, repair, simplify life, sustainable, The10R's. permalink.